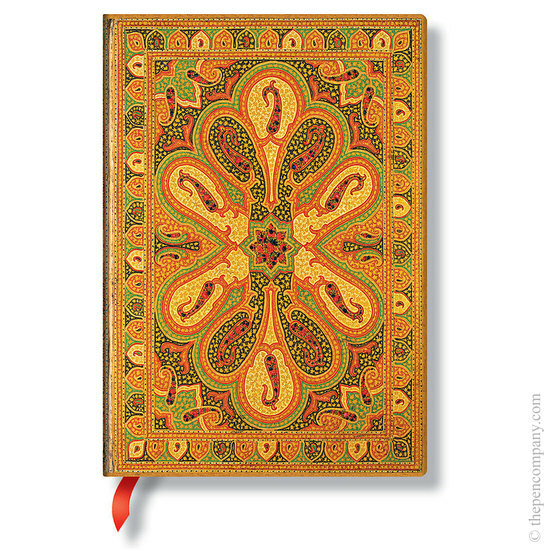 This journal cover design pays homages to one of Uzbekistan’s largest cities, Bukhara, where this dazzling 18th-century Islamic binding originated. A centre rosette is complemented by intricate corner designs and margins of heart shaped leaves. The vivid complementary colours evoke a sense of radiance and light.